Tour and one of those dates will bring the band back to Saint Louis in June. They will play at The Pageant, a first for the band who has performed in the Gateway City regularly throughout their history. 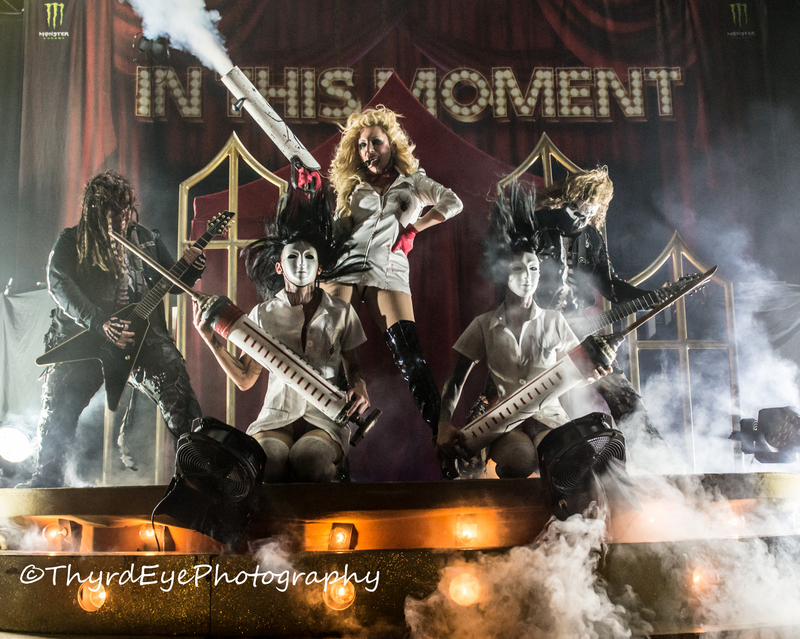 The band, headed by two-time winner of the Loudwire Music Awards’ “Rock Goddess of the Year” vocalist Maria Brink and guitarist Chris Howarth are known for their theatrical stage shows that seem to mesmerize fans visually and audibly. New music will be released from In This Moment in the form of a new album “River of Fire” that is due to drop July 14. The Saint Louis show will feature Motionless in White, MIMIC, and Little Miss Nasty as supporting acts. Tickets for the show go on sale this Thursday (4/27/17) at www.ticketmaster.com or at The Pageant’s box office. A presale starts today (4/26/17) at 10:00 AM. Tickets will go on sale to the general public beginning at 10:00 AM on Friday (4/28/17) and will be $32.50/ $35 day of show.